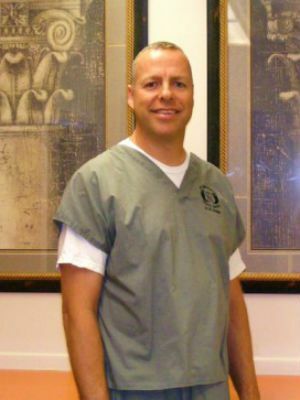 Dr. Wayne Hodges is a doctor of chiropractic, and has been practicing for over 28 years. He has successfully treated over 10,000 individuals and delivered over 300,000 treatment sessions. He is an expert in natural acute and chronic pain relief without the use of drugs or surgery, postural correction, as well as its effect on human function. He specializes in the nutritional and rehabilitation management of chronic disease. Dr. Hodges is a Distinguished Fellow of Chiropractic Biophysics, an advanced postural certification. He holds a bachelor’s of science in biological sciences from the State University of New York at Stony Brook. He received his doctor of chiropractic degree from New York Chiropractic College. He has a postgraduate certification in chiropractic sports management, and is board eligible in chiropractic orthopedics. Dr. Hodges is a certified first line therapy practitioner, a nutritional and lifestyle management program to improve body composition and reverse chronic disease. Dr. Hodges’ passion is to serve others through education, expert structural, neurological, and nutritional health care allowing people to reach their full potential. There’s nothing he enjoys more than seeing individuals actually get off drugs, avoid surgery, and live the longest healthiest life possible. He has the uncanny ability to simplify complex issues so those he works with understand what’s wrong and how to get on the road to recovery and full function. Many are amazed at his sense of touch, with thousands saying he has “magic hands.” Dr. Hodges will give an honest opinion of your issues, and he doesn’t accept cases he can’t help. He’s married and the father of four girls and one boy, ages 33 to 21.